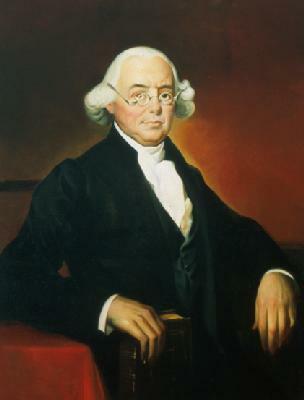 James Wilson was a lawyer, signer of the Declaration of Independence and Founding Father from Pennsylvania. In this address he made to a Grand Jury, James Wilson addresses issues of crime and punishment. Wilson does not directly speak about the death penalty, however, he discusses extensively that he believes the most extreme forms of punishment for crime are unproductive. He says judges and juries will be reluctant to hand out serious punishments because of human nature and that this will encourage criminals to commit more crime, knowing that they will get off easy. Instead, James Wilson recommends mild punishments that judges and juries will be more likely to hand out. This, he reasons, will cause more obedience to the law because criminals will know they will be punished if caught committing a crime. Gentlemen of the grand jury, to prevent crimes is the noblest end and aim of criminal jurisprudence. To punish them is one of the means necessary for the accomplishment of this noble end and aim. The impunity of an offender encourages him to repeat his offences. The witnesses of his impunity are tempted to become his disciples in his guilt. These considerations form the strongest--some view them as the sole argument for the infliction of punishments by human laws. There are, in punishments, three qualities, which render them the fit preventives of crimes. The first is their moderation. The second is their speediness. The third is their certainty. True it is, that, on some emergencies, excesses of a temporary nature may receive a sudden check from rigorous penalties: but their continuance and their frequency introduce and diffuse a hardened insensibility among the citizens; and this insensibility, in its turn, gives occasion or pretence to the farther extension and multiplication of those penalties. Thus one degree of severity opens and smooths the way for another, till, at length, under the specious appearance of necessary justice, a system of cruelty is established by law. Such a system is calculated to eradicate all the manly sentiments of the soul, and to substitute, in their place, dispositions of the most depraved and degrading kind. It is the parent of pusillanimity. A nation broke to cruel punishments becomes dastardly and contemptible. For, in nations, as well as individuals, cruelty is always attended by cowardice. It is the parent of slavery. In every government, we find the genius of freedom depressed in proportion to the sanguinary spirit of the laws. It is hostile to the prosperity of nations, as well as to the dignity and virtue of men. Other Founding Fathers had beliefs differing from James Wilson about serious forms of punishment, such as the death penalty. Find out what Declaration of Independence Signer Benjamin Rush and Declaration of Independence author Thomas Jefferson believed about the death penalty here. Find out how the 8th Amendment to the United States Constitution deals with the death penalty, or read more about significant 8th Amendment Court Cases that deal with the death penalty here.